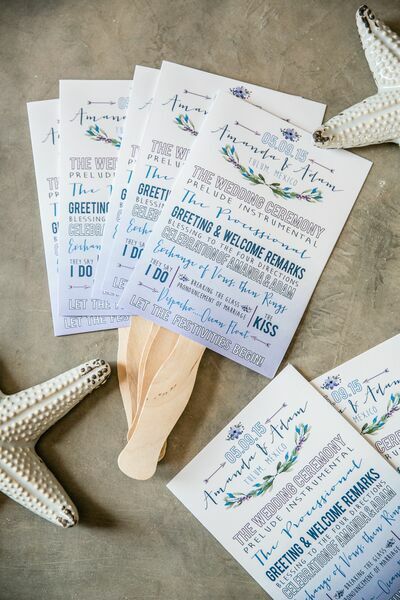 Wedding invites can set the tone for your special day and get people excited about attending! 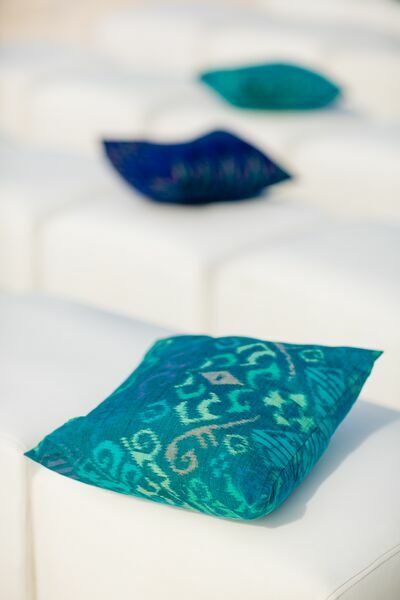 They can be formal and classic or whimsical and unique. 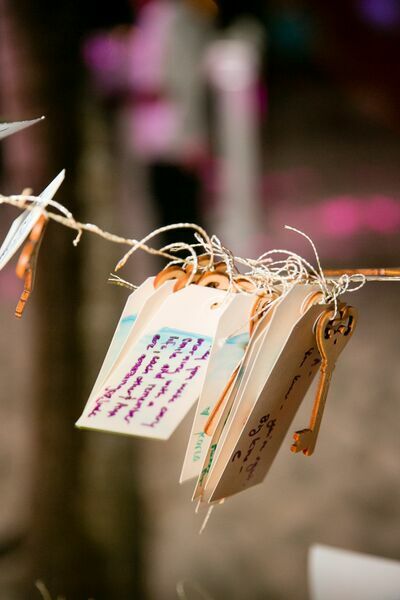 We’ve created a list of five unique invites that we love! At ABCey our favorite is the scratcher because it builds suspense, but tell us what you think! 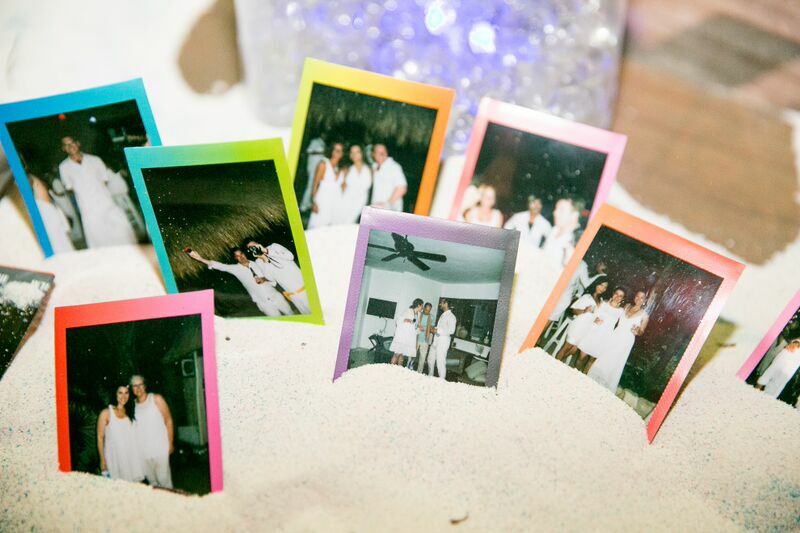 We all know the excitement of a lotto card, but this way your guest get to win their way into your wedding! Include a penny of the year you two met for a more personal touch! Make your guests “inflate to save the date” with this balloon printed with wedding details! 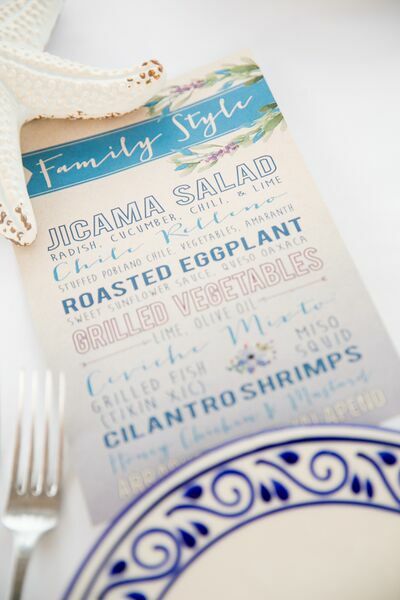 You can print in all different colors and if your guests have kids they will love the interaction this invite gives! Make your invite a bit of a game with this puzzle invite! 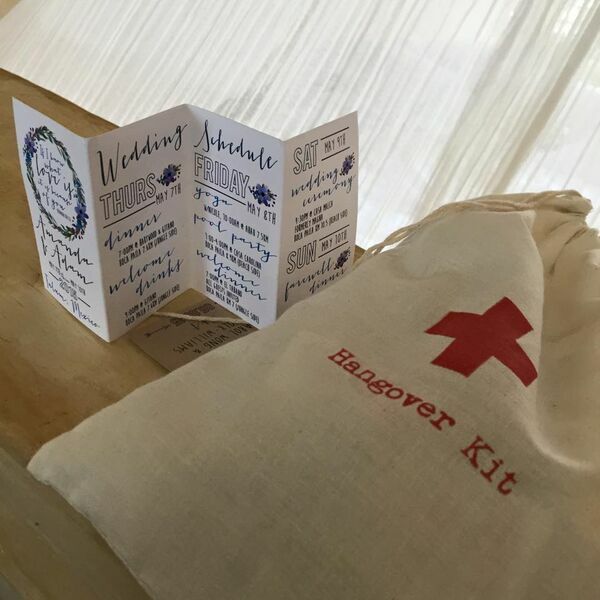 Guests will have to piece their invite together before knowing all of the fun details of your special day! 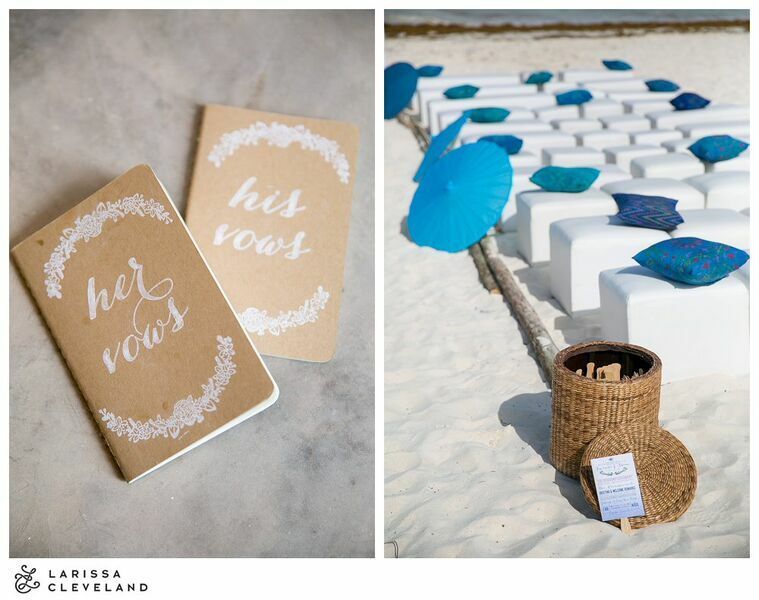 This invite is especially good if your wedding has a bit more of a natural feel or is set outdoors. 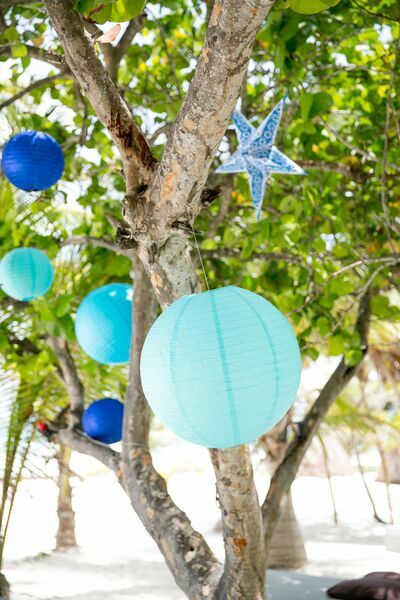 This invite is super easy and low budget but looks amazing! This idea is definitely unique but can be so fun! Put your simple invite in a can and then seal. Guests will have to open up the can to get to the invite, and you can also add fun decor or objects inside to get guests even more excited! Let us know in the comments below or on Facebook or Twitter! 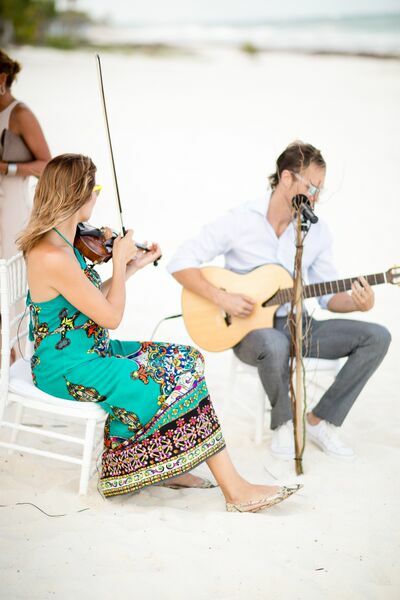 Behind the Scenes: Adam & Amanda’s Tulum Destination Wedding! 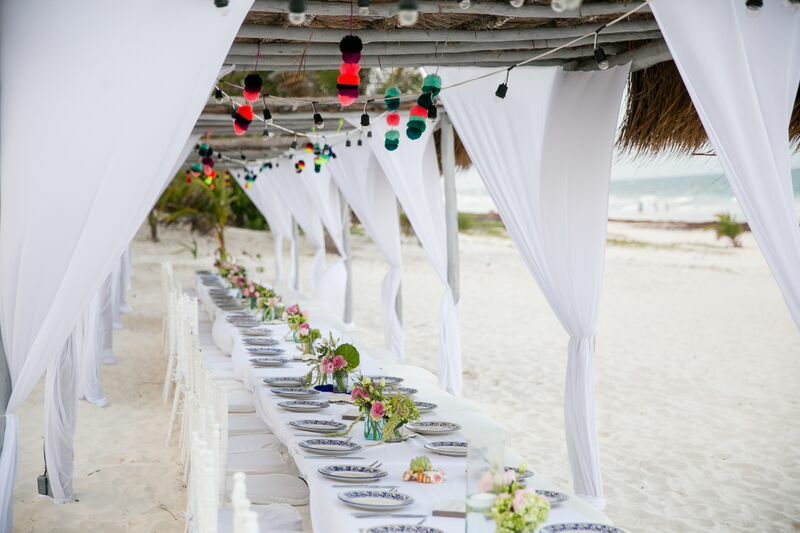 Amanda Cey, CEO of ABCey Events, led the charge in planning her beautiful destination wedding this past May in Tulum, Mexico. 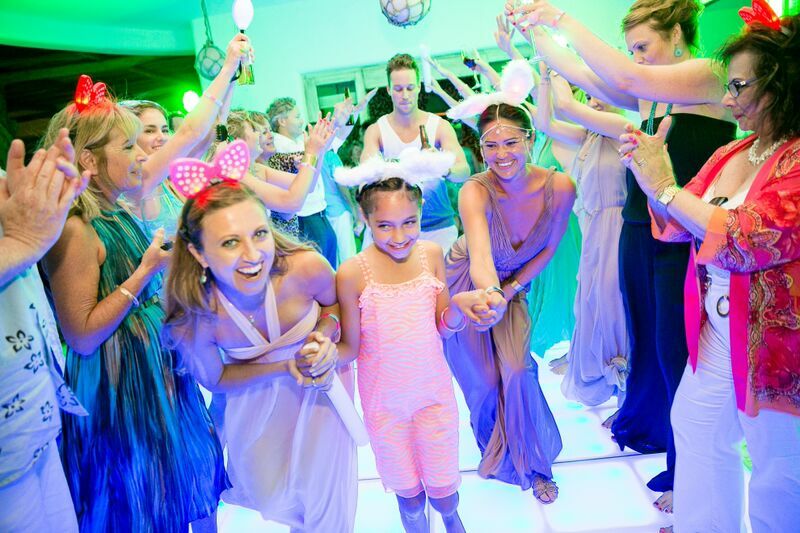 Her special day took place at Casa Malca, with her closest family and friends. 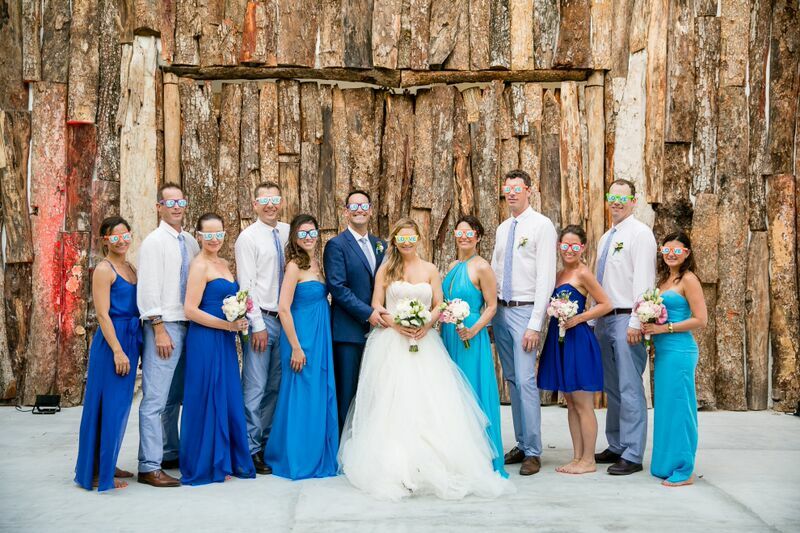 ABCey has the inside scoop on all the details that made Adam & Amanda’s wedding possible! 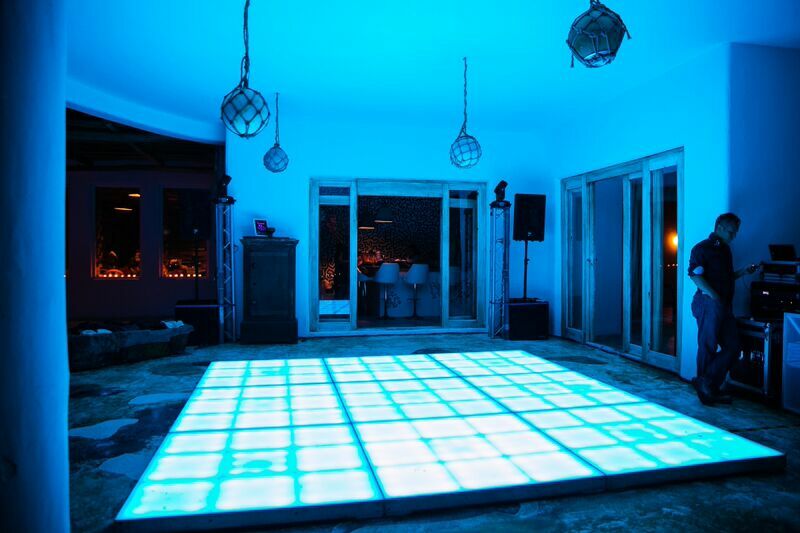 To see our full portfolio, click here! 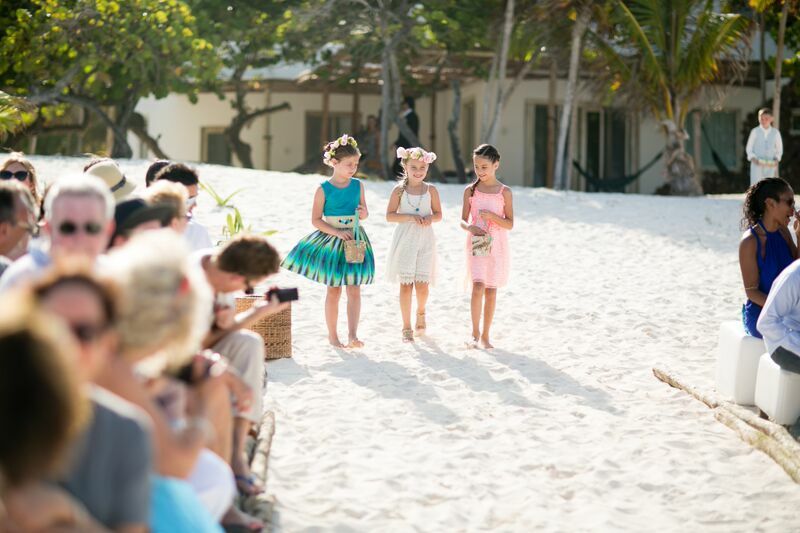 For as long as I can remember, I dreamed of getting married (along with almost every other little girl that has ever existed)! 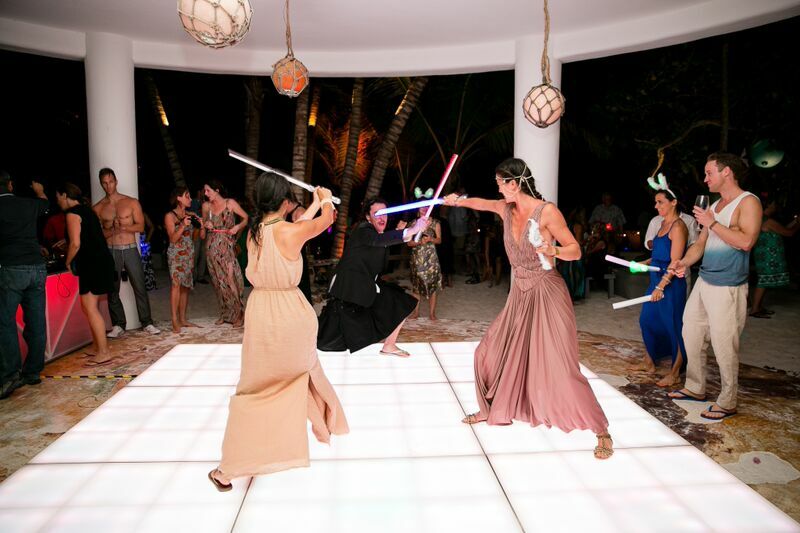 And, I always knew I wanted a destination wedding so that I could extend this dream into a long vacation for all! 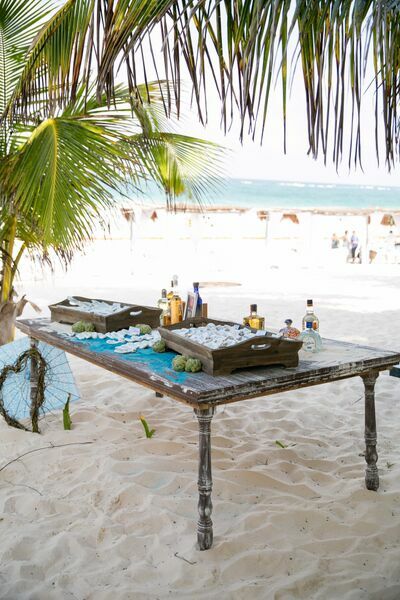 With 15 properties rented including 6 hotels and 9 private homes, we set to take over this yoga-esque bohemian beach town. 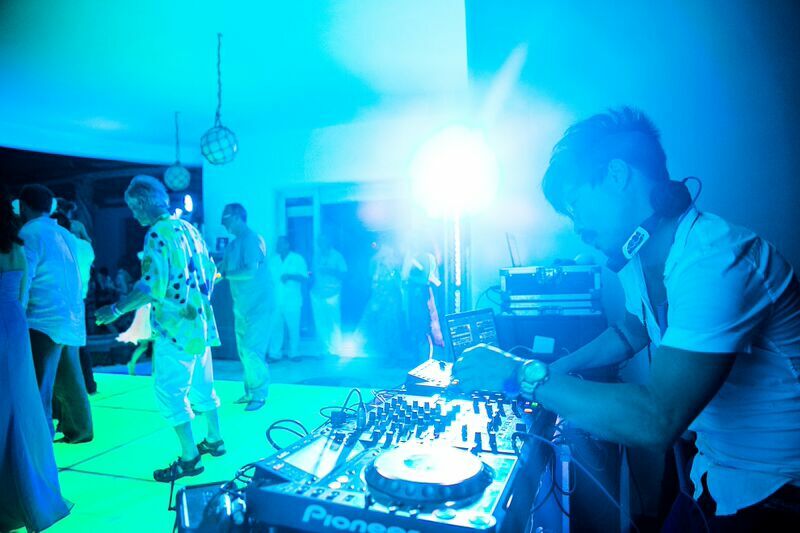 Our arrival dinner began at Hartwood and Gitano, continued to El Tabano for our all white welcome party, and finished at the Papaya Playa Project for Sunday evening’s farewell dinner. Adam and I met while living a few blocks from each other in Russian Hill, San Francisco. I was immediately drawn to his sense of humor, which I now know to be heavy sarcasm from his Bostonian upbringing! He made me laugh and as time went on I never wanted to leave his side. 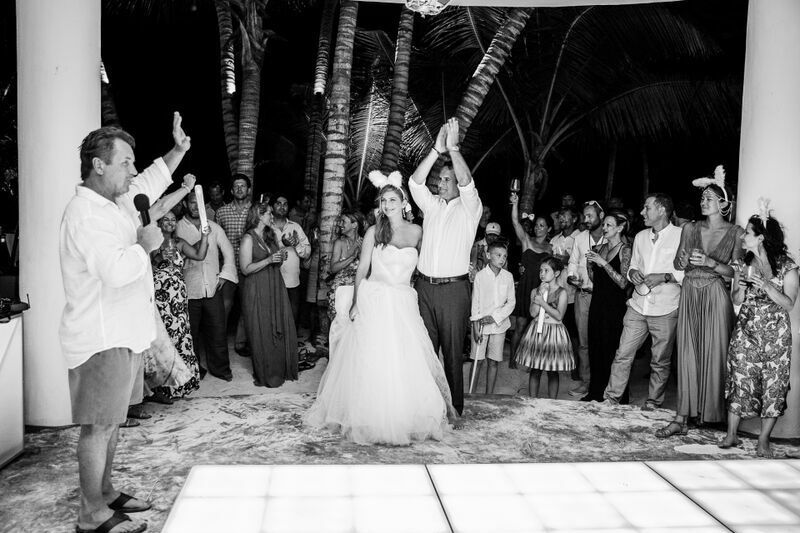 We had a rather long engagement (due to the birth of our daughter this past October), and were finally able to tie the knot on May 9th at an intimate beach-side estate called Casa Malca in Tulum, Mexico. It was silly to think that I could plan this event on my own (even being an event planner), with a newborn in tow, and in another country! 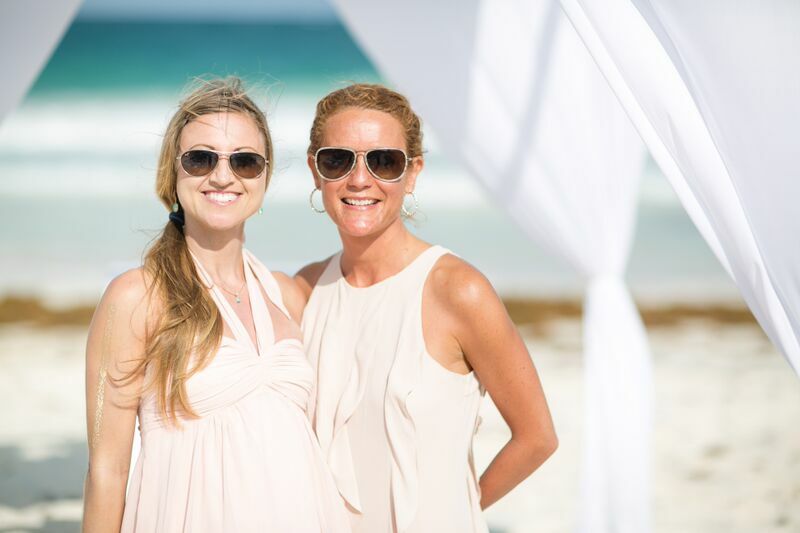 I brought an assistant, the lovely Caitlyn McSorley and also hired Gwen Grosset, Destination Weddings Tulum to make sure everything ran smoothly on the ground! I fell in love with my “Octavia” Vera Wang dress from the Spring 2015 collection, but was unable to even try it on until just a few months before the wedding (I was 6 months pregnant by the time I saw it for the first time). 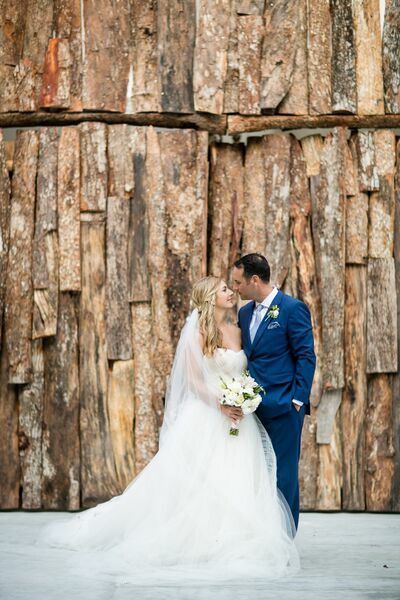 I instantly fell in love with the disorder and edginess of the dress, but it was also so unique and organic which worked beautifully with the natural setting. 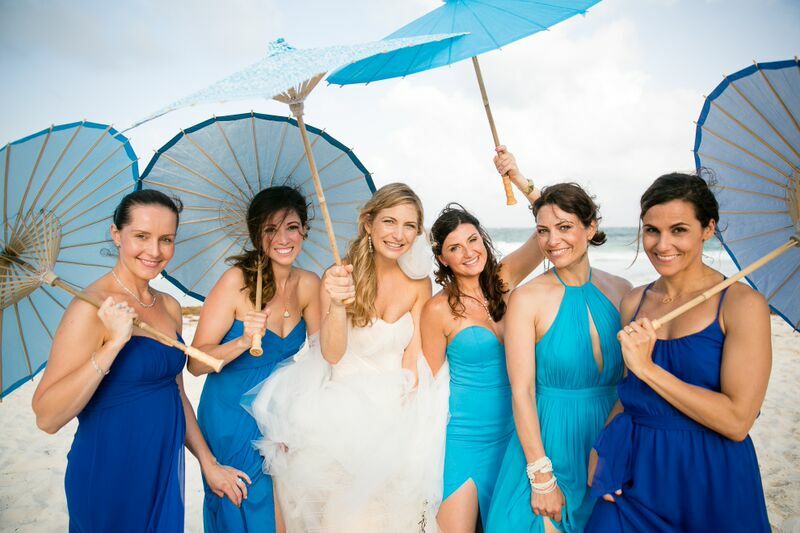 The bridesmaids shined in a variety of blue hues that created an ombre effect when standing up at the altar, and looked gorgeous with the stunning ocean backdrop. 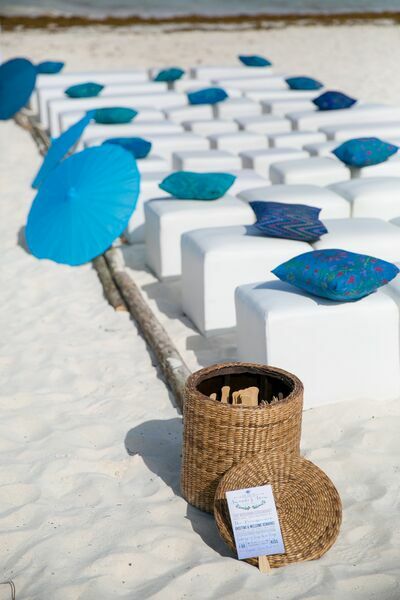 There wasn’t really any overarching main theme, although blue tones dominated, along with ombre tones throughout (dresses, cake, tags, menu’s, etc), and lots of natural beachy elements to compliment the vibe. 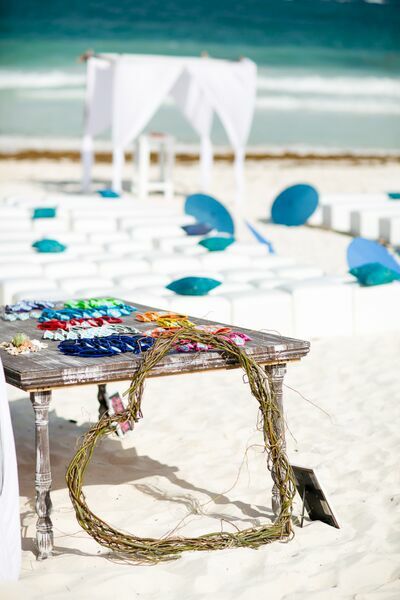 We brought close to 10 duffle bags of event decor that included everything from teal colored sand (so much for not bringing sand to the beach), driftwood, and sea shells (who has time to collect these the week of a wedding)? 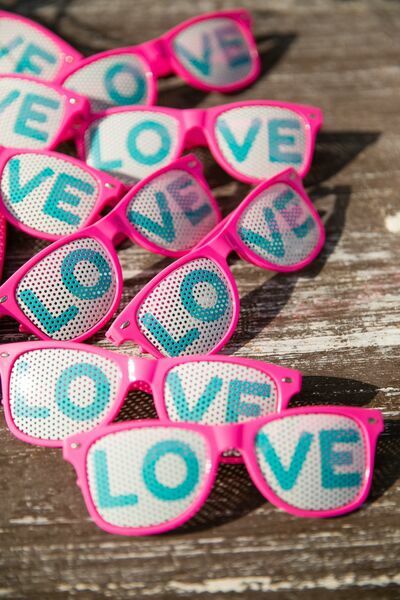 There were also ceramic starfish for the ultra long dinner table, custom made “LOVE” multi-colored sunglasses, a variety of blue parasols and lanterns, beautifully calligraphed chalkboard signage, ikat patterned pillows from Bali, Mexican pompoms, hangover kits, custom vow books, laser cut wood keys, ombre tags, and program fans! 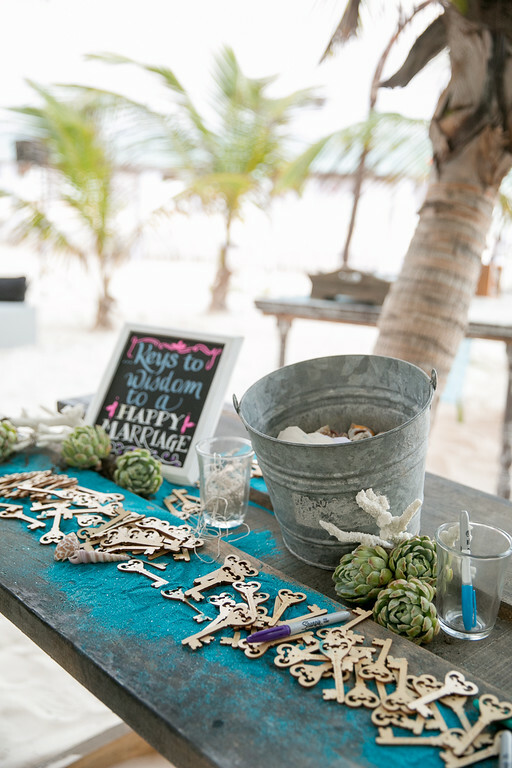 We found use for almost everything, except the vintage marquee “Hitched” sign didn’t quite make it in one piece! 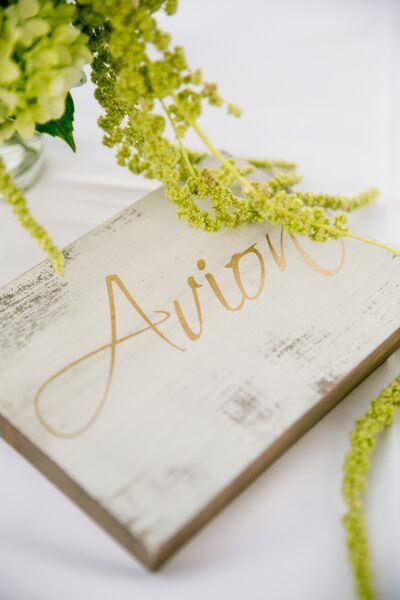 See how we pulled off this elegant outdoor affair as captured by the amazingly talented, Larissa Cleveland here! 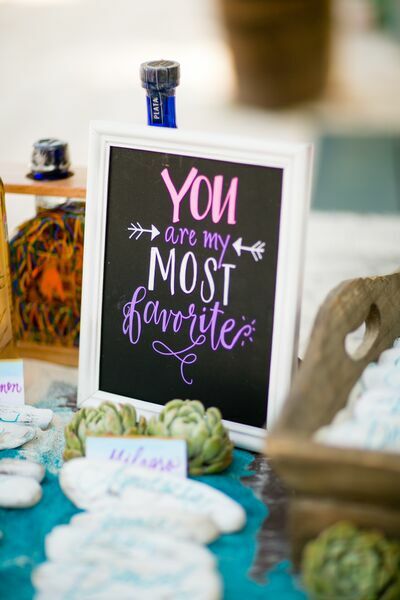 We’d also like to extend a huge thank you to all of the vendors and people who made this day a huge success! 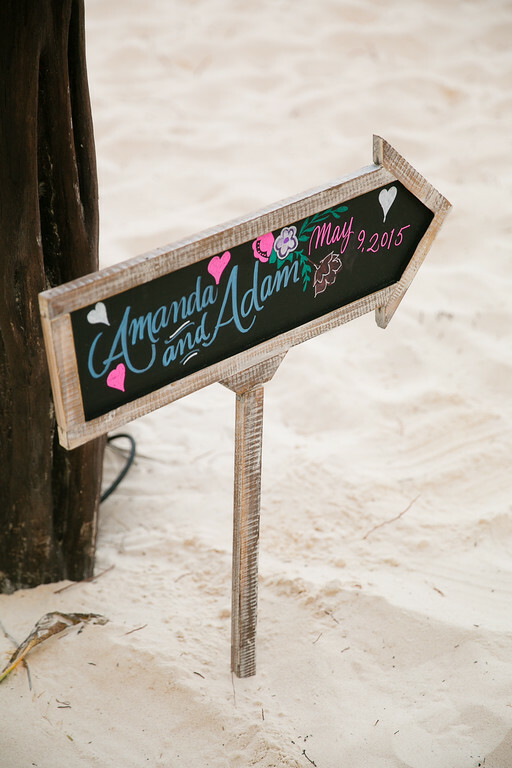 What did you think of Adam & Amanda’s Tulum Wedding? 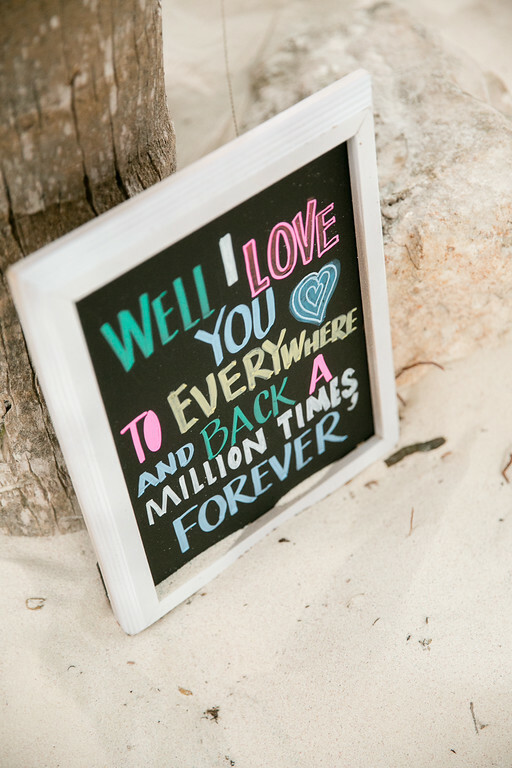 Need help planning your destination wedding?! Let us know with a comment or message us on Facebook or Twitter! There are tons of ways to make your wedding bouquet reflect your personality for your special day. ABCey has a few ideas for a summer bridal bouquets that aren’t so traditional. Our personal favorite is the bright succulents! Succulents are becoming more and more popular as home decor, with California’s drought! But succulents can also make for gorgeous wedding bouquets! 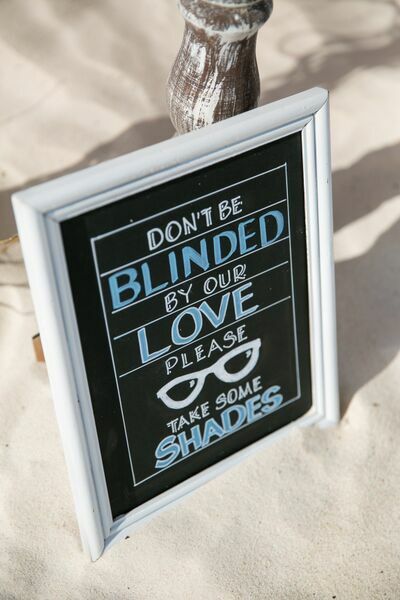 The beach is a popular venue for summer weddings and for good reason! 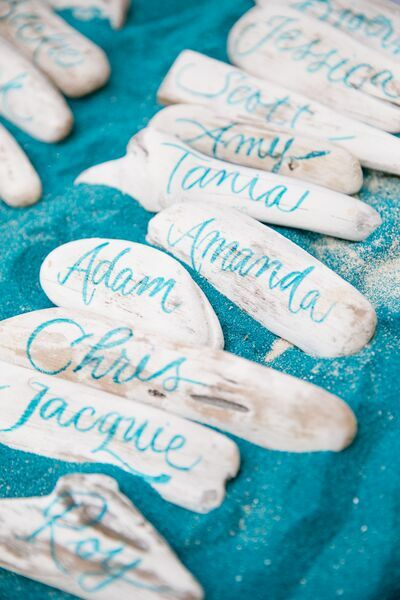 Shell bouquets are the perfect pairing — they incorporate the ocean and go right along with the theme. Shell bouquets are also easy to preserve, so you can have them forever! For an easy and beautiful bouquet, you can use nontraditional items like wheat and driftwood. 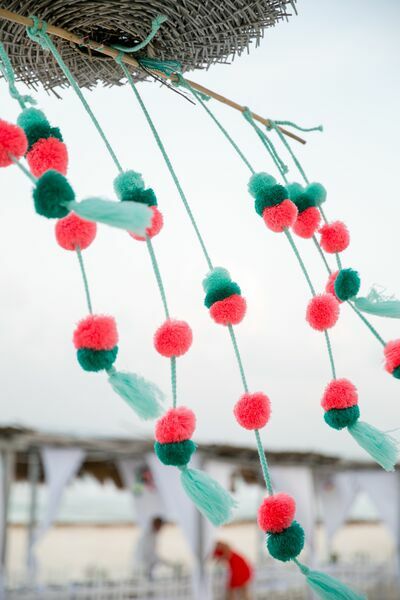 They can be just as stunning and are simple to make if you want a fun DIY project! 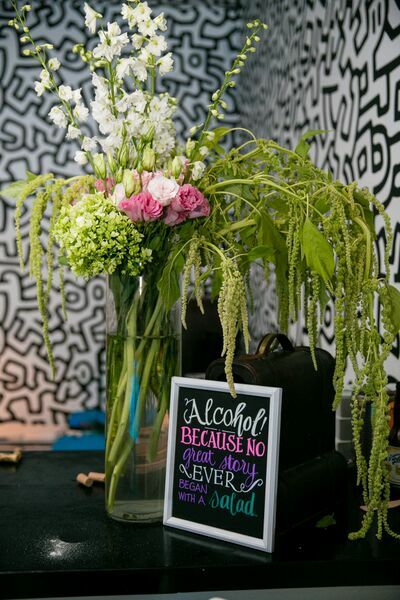 Check out these nontraditional bouquets below for some inspiration. What do you think of these bouquet alternatives? If you loved these as much as we did, let us know on Twitter or Facebook!